Yejide Kilanko was born October 1975 in Ibadan and says one of her fondest childhood memories was staring at the projector screen as her father showed slides from his travels across Australia and New Zealand. She desperately wanted to travel the world, and then discovered faraway places by immersing herself in books. Her love for reading just about anything she could lay her hands on, led to writing her first poetry when she was twelve. Enjoy our chat below, and my review of her first novel, Daughters who Walk this Path. My life experiences and events around me. Human Behaviour. Reasons behind choices we make or others make for us. Issues or events that make me reflect on my privileges or the lack thereof. A joke, a phrase from a song playing on the radio or conversations with friends. In some cases, my writing is a direct response to the thought that,"There but for the grace of God, go I." With regards to writing fiction, I don't think so. I feel as if I'm still developing my voice and this is the time to experiment with styles and push myself further. That being said, I use a lot of humour and sarcasm in my writing because I enjoy reading novels that make me either laugh or roll my eyes. I just completed my second novel manuscript. I'm now researching ideas for a third novel and slowly working my way through an outline for a middle-grade(ages 8-12) children's book. - You're a practicing social worker, do you see writing as a alternate career or will it remain part-time? Writing will remain part-time for now. Unless of course, I get a six-figure book deal with a writers residency in Australia tagged on. On a serious note, I really enjoy working with children and I feel that doing both enriches my life and makes me a better writer. My days are very busy with family and work obligations so I do most of my writing at night. I'm more of a binge writer, which means there're weeks when I write all night and weeks when I struggle with writing just 250 words. Some days, I need to write in solitude and on other days, I need the sound of people talking and laughing. I play music constantly. - Daughters who walk this path is your first novel. Tell us what inspired it, and how you got published. Daughters evolved from a poem I wrote called, Silence Speaks. In June 2009, as a child protection worker, I was exposed to heart-wrenching stories about child sexual abuse. Working on the manuscript over a period of eight months became my outlet. My journey to publication was a surreal one. After I shared the first draft of Daughters with a couple of people and received some positive feedback, I decided to look for a literary agent. After doing some research, I discovered how difficult it was to find one in Canada or anywhere else. Despite my apprehension, on August 16, 2010, I sent queries to sixteen literary agents in the United States. That same day, to my utter amazement, I received a request for a full manuscript. Exactly one week later, I had an offer of representation from my fantastic agent, Dan Lazar of Writers House. In May 2011, after we had spent some time polishing the manuscript, we made submissions to Canadian publishing houses. We heard back from my editor at Penguin Canada within a week. We subsequently received a publishing offer at the end of May. The Canadian edition of Daughters was published on April 10, 2012, less than a year later. The U.S edition (Pintail Books)will be published on January 29, 2013 with the German and Audio versions to follow shortly after. That would be finding the right words to use. Dialogue between characters sound good in my head but it becomes muddled when I transfer my thoughts onto paper. I'm a bit of a perfectionist so I find myself constantly re-writing scenes. I've discovered that there's an art and craft to writing and learning the craft is challenging but rewarding. I started writing poetry when I was 12. It was my way of dealing with life. As a Political Science undergraduate at the University of Ibadan, I wrote for two student press organizations. So, writing has been a part of my identity for a very long time. It's the transition to being an author, that I'm still getting used to. The Bible, Animal Farm (George Orwell), Second-class Citizen (Buchi Emecheta), Burger's Daughter (Nadine Gordimer) and Roots (Alex Haley). Roots was the first adult novel I read at about eight years old. I talked about it so much, my dad bought the film. Watching the videos took away some of the magic and it made me appreciate the written word even more. With reading, there's no limit to my imagination. I don't have one favourite author. If you had to choose, which writer would you say writes in about the same line or genre as your book? You know, like if one likes that author, they'll also like your book? That would be Chika Unigwe. 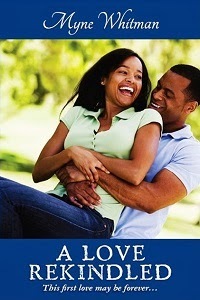 I admire her work and find her writing style accessible and engaging. I've heard great things about Chibundo Onuzo's debut novel, The Spider King's Daughter. 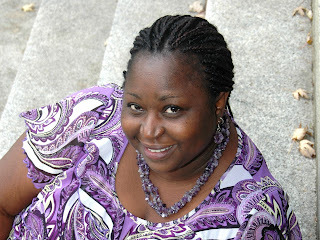 I recently read an advance copy of Tolulope Poopola's debut novel, Nothing Comes Close, and I enjoyed it. I'm currently reading Akata Witch (Nnedi Okorafor), Gone Girl (Gillian Flynn) and Anna Karenina (Leo Tolstoy). I salute the courage and vision of the few publishers in Nigeria. Nigeria is a unique market and not for the faint of heart. There're a couple of new publishing houses starting up and that's a good development for writers. In my opinion, more can be done in the area of distribution but I'm hopeful that in the years to come, effective channels will be put in place so that people in smaller communities also have regular access to new books. - What comments do you have about the reading culture in the country? Based on what I read online and conversations with other Nigerian writers, I would say that it's very vibrant despite all the challenges Nigerians face on a daily basis. Thanks for buying, sharing or talking about Daughters with your friends and loved ones. I hope to continue to write novels that you enjoy. 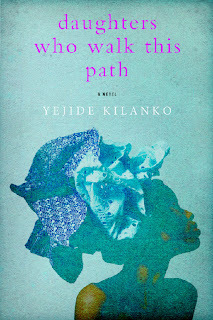 Daughters who walk this Path paints the picture of women in Nigeria and who could be women anywhere. The characters are fully realized and are people anyone might recognize or identify with, and this means that the book is all the more moving and compelling. My only issue with the book was that it seemed to want to write everything about Nigeria and the cultures in one book that already has its remit defined. The foray into elections and the political machinery was unnecessary as was the introduction of the issue of inter-ethnic marriage. 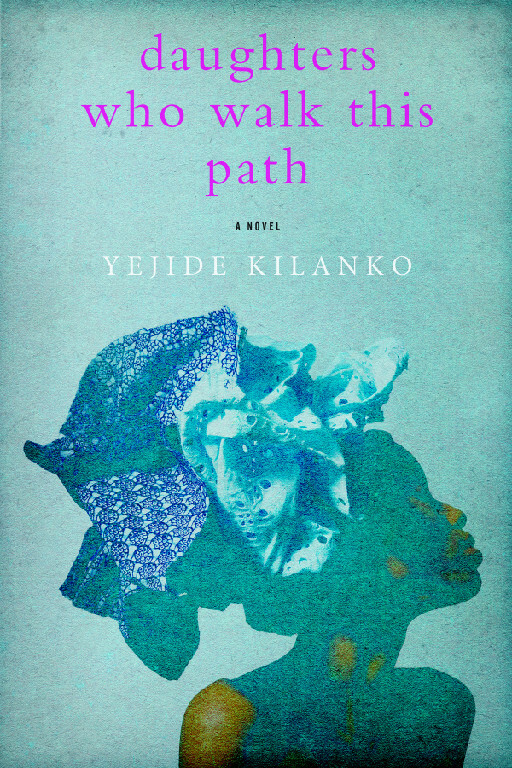 Otherwise, Yejide writes very well, in language that is easy and engaging, and any reader will find themselves running the whole gamut of feelings, from laughter to tears and back, by the time the book concludes.